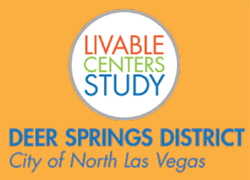 The City of North Las Vegas is launching the design of a “livable center” for the Deer Springs District! We are pleased to invite the community to a kick-off workshop. 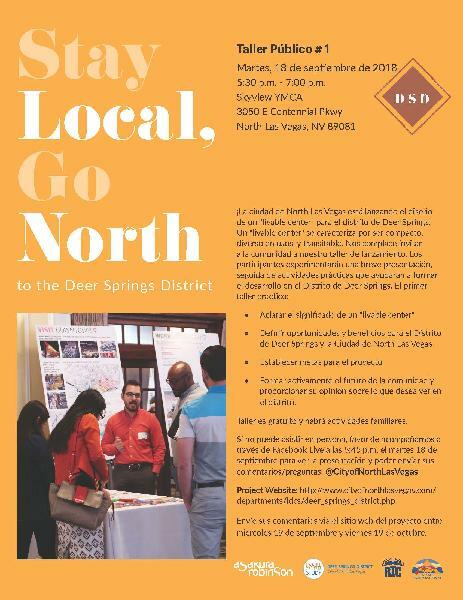 The event will include a short presentation, followed by hands-on activities to gather ideas that will help shape development in the Deer Springs District, which runs from North Fifth Street to Pecos Road. The workshop is free, and there will be family activities to help keep kids occupied while parents participate. If you can't make the workshop in person, please join us remotely via Facebook Live at 5:45 p.m. Tuesday, Sept. 18 to see the presentation. 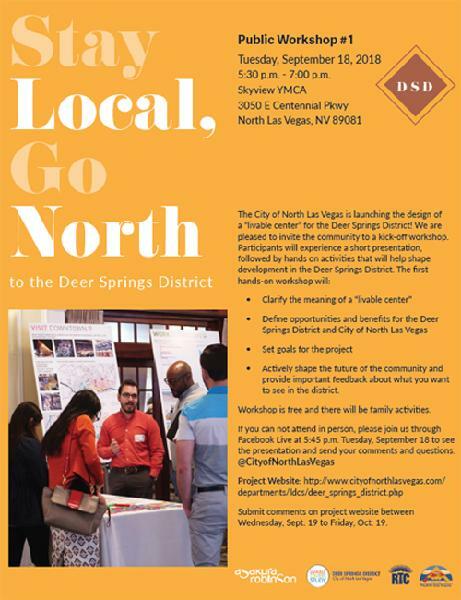 Send your comments and questions to @CityofNorthLasVegas. You also can submit comments about the project via the project website from Wednesday, Sept. 19 to Friday, Oct. 19.